Zicipus jujuba , according to Presla (1846), Cymbidium , Chinese Jujuba or Chinese cicicum , belongs to many species of miraculous fruits of China, Japan and other Asian countries. It is a subtropical deciduous tree of the family of buckwheat, height 3-8 meters. Its fetus is sweet, big as a smaller date, but also large-scale cultivars. The cicmique taste resembles a harder plum, but it is not so sweet. 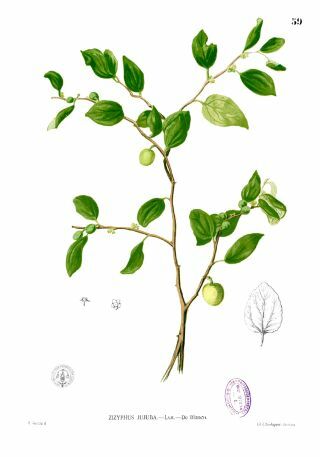 According to TČM, the cicicum is essentially an adaptogen, but not as strong as the ginseng, with which it is often combined. Cicimek datol is a traditional addition and preferred sweetener of strong ginseng tea . 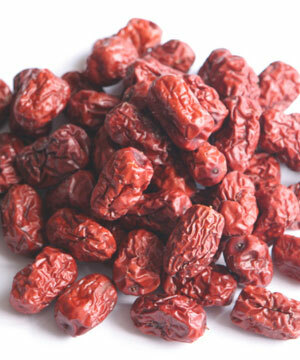 Dried cicicum is sweet and very tasty, but it does not contain as much sugar as the date. The plant is also interesting because it contains ziphipin in the leaves, which temporarily blocks the perception of sweet taste. The use of the cicicum until recently was justified only by confidence in the clinical experience of the TCM. Cicimek, for example, is part of the anti-depression kanji tao, written in writing since the 2nd century AD. ( Jun2014hmg ). Cicimek is traditionally used in TČM for the protection of the liver . In addition to the fruits, ticks and seeds (cores) are also used for treatment. Until 2007, there was almost no information in the scientific literature on the cicicums ( Naftali2008zje was the only source available at that time to quote Joe Hing Kwok Chu ). Until recently, Japanese publications ( Huang2007maa and Huang2009czj ) appeared about its possible anticancer effect on the liver. It found triterpenoid acids ( Guo2009hlc ) and the Taiwanese publication Chen2010wez confirmed the protective effect of the cicicide on the liver. The fruits of the cicicide contain a considerable amount of antioxidant flavonoids ( Chen2010wez ).